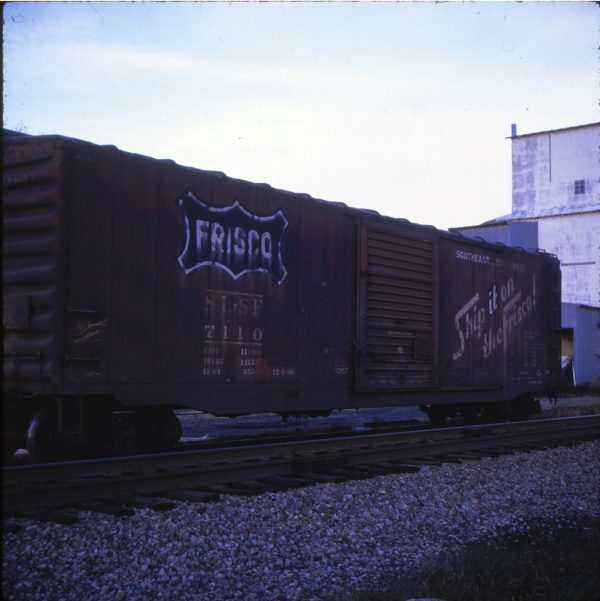 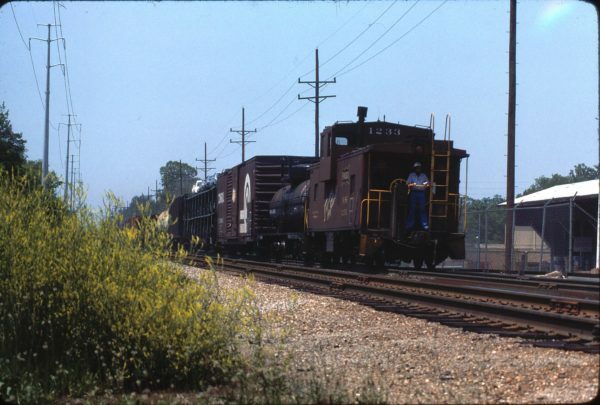 Boxcar 7110 on the B&O in Southeast Ohio in 1970 (Ken McElreath). Caboose 11710 (Frisco 1735) at Cape Girardeau, Mo in July 1982 (Jim Hoops). 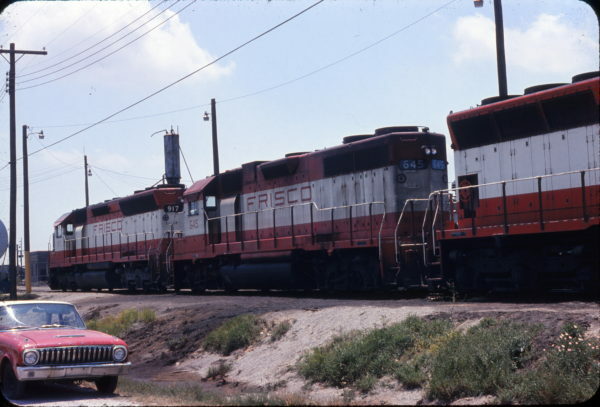 SD45 917 and GP38AC 645 at Mobile, Alabama (Sconza). 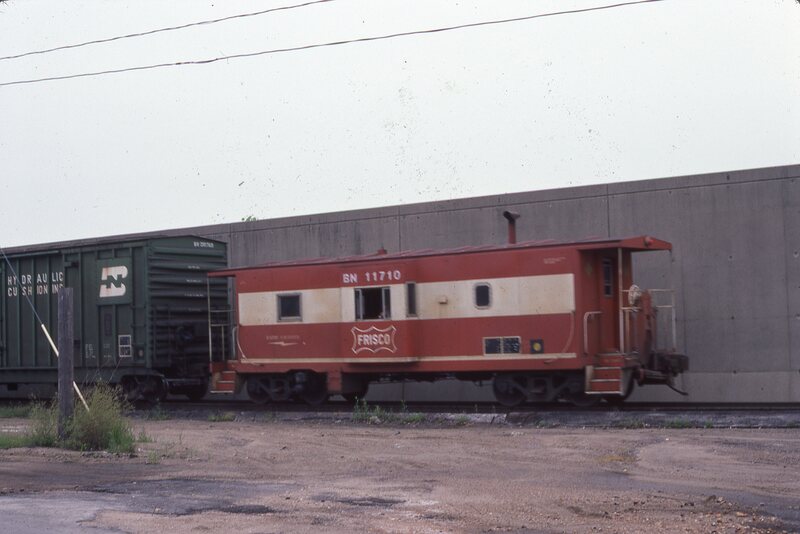 Caboose 1233 at Kirkwood, Missouri in May 1980 (Ken McElreath). U25B 5212 (Frisco 810) at Springfield, Missouri on September 16, 1981 (J.B. Holder). 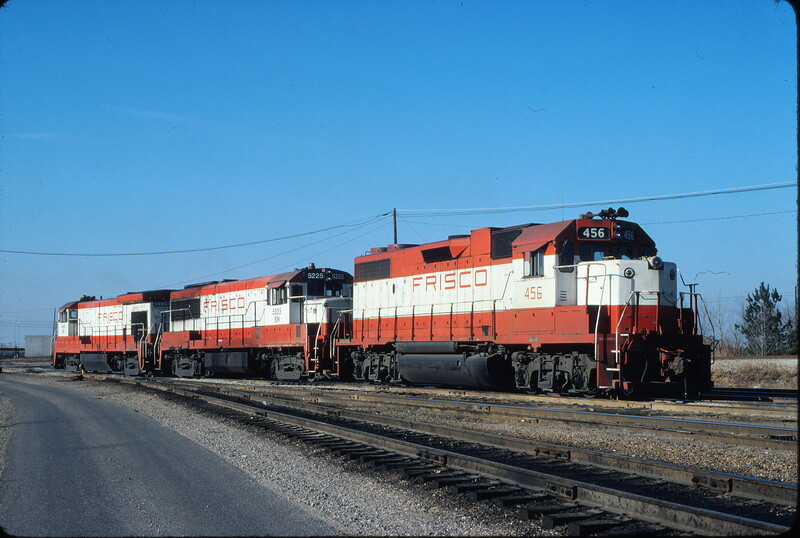 GP38-2 456, U25B 5225 (Frisco 823) and B30-7 5490 (Frisco 868) at Memphis, Tennessee on December 20, 1980 (David Johnston). 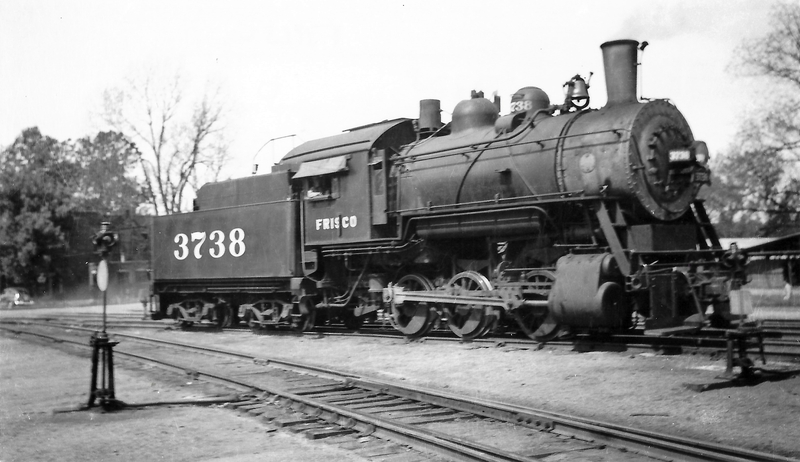 0-6-0 3738 at Fort Smith, Arkansas on April 2, 1948 (Arthur B. Johnson). 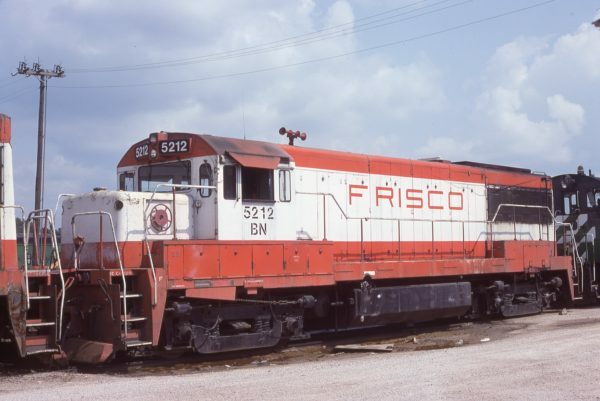 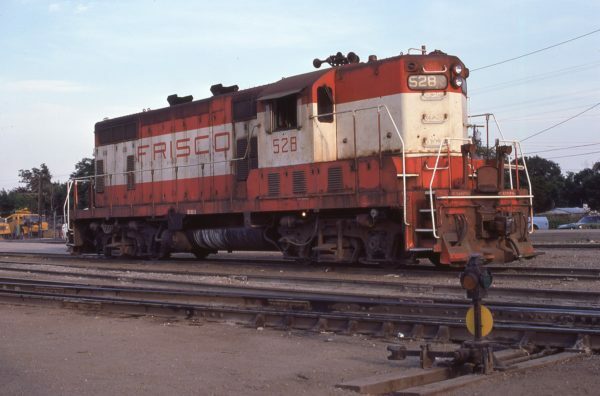 GP7 528 at Oklahoma City, Oklahoma in August 1974 (Steve Gartner). 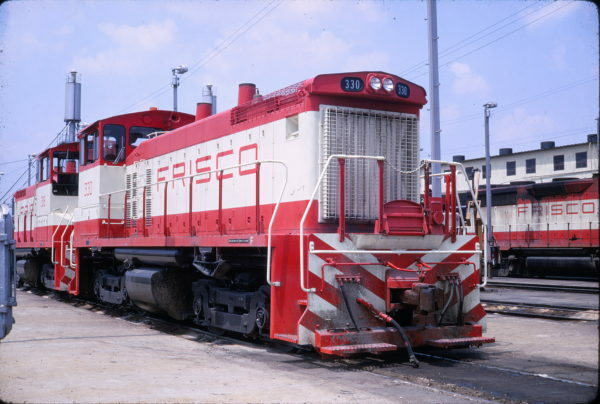 SW1500s 330 and 318 at Memphis, Tennessee (Conniff Railroadiana Collection). 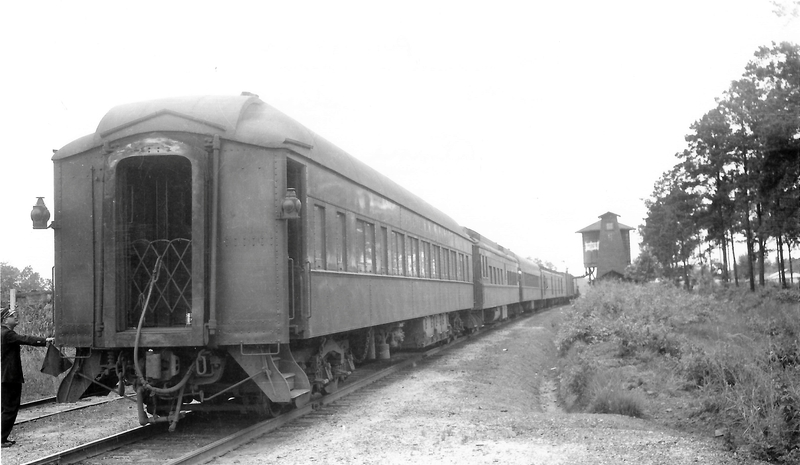 Pullman Sleeper Car Whipple at Atmore, Oklahoma on May 30, 1949 (Arthur B. Johnson).